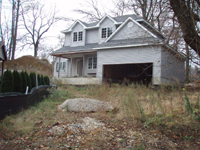 Single Family Residential Incomplete Construction Asset Services. 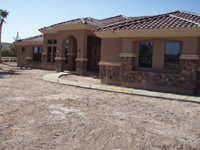 New home construction consulting, reporting and onsite service for bank owned property. Single-family new homes that are considered “incomplete construction”, and do not have a certificate of occupancy. q Property inspection with complete pictures of project. q Line item construction cost estimate and breakdown to complete home. q Note damage and theft for potential insurance claims. q Building Department permits status and inspection history reporting. q Sales opinion for finished value and current value. q Obtain construction plans and construction documentation. q Secure property and control access. q Construction project and property clean up and trash out. q Improve and prepare property for “as is” sale, and short-term preservation. q Other work as required by City, County, HOA and Neighbors. q Line item cost to complete construction agreement. q Complete construction of home to obtain Inspection “Final” / Certificate of Occupancy from Building Authorities. q Construction schedule and completion date. q Work with owner draw process for reimbursement and payment.